Exfoliation removes dead skin cells. This technique has been around for many thousands of years and it actually helps improve the hydration from moisturizers. Herbalix offers its unique blend of coriander seed and kelp in a superior Scrub Bar made with fresh goat’s milk. This Herbalix Restoratives Cream Bar Soaps helps exfoliate dead skin cells and release impurities. Choose from the gentle aromas of two fragrances – Ceremonial Sage or Coriander. Both will leave summer dry skin smelling clean and fresh, and looking luminous. When you get too much sun, over time and also with aging, some people get what we call age spots. To help diminish them, cut a large strawberry in half and use a fork or knife to poke the flesh and draw out the juices, then swipe it across your face in small circles. Leave the juice on your face for several minutes, then rinse off. This will lighten up any sun or age spots over time. You can get the same effect with a lemon or lime, so slice a fresh lemon or lime and apply the fruit directly to the sunspots for 10 to 15 minutes per day. The acid in the fruits will lighten the spots and also helps to remove any dead skin cells. After you exfoliate, follow up with the Supreme Solution™ intensive body moisturizer to seal in moisture and support cellular regeneration. It has been carefully formulated using a very rich and expensive blend of pure, skin beneficial, non-RBD oils including: Almond, Olive Safflower, and Rice Bran, Avocado, Pumpkin Seed, Meadowfoam, and Carrot Seed, to name just a few. 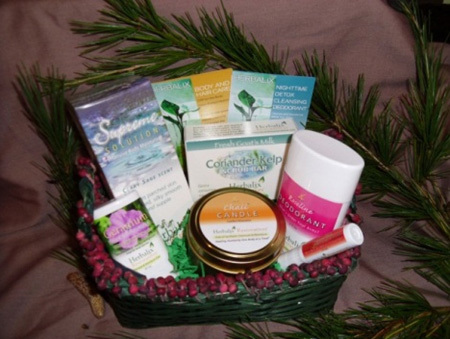 “So far I have tried the moisturizer, both the stick and the cream in the beautiful blue jar. The moisturizer feels like velvet on my skin as I rub it in. Its scent is so subtle, natural, and light. For those of us who have difficulties with scents and who are sensitive to many ingredients, thank you from the bottom of my heart…” said one customer who identified themselves as S.V. in Maryland. The unique combination of oils will hydrate your skin thoroughly. This formulation is extremely concentrated so a little goes a long way. It has been formulated without alcohols, binders, fillers, or emulsifiers, so it takes extra time to absorb. Supreme Solution is available in three lovely scents: Supreme Solution Clary Sage, No Added Fragrance and Tropical Cove. And this month of June, you are in luck! If you sign up for the Herbalix News & Deals newsletter, you can get a hefty 15% off all the Herbalix moisturizers during the month of June including Supreme Solution and The Herbalix Moisture Stick in Tropical Cove (right), a whole body moisturizer with organic herbs and essential oils. Use as a lip balm, facial moisturizer or anywhere you want to. The unique moisturizer stick application is great for summer vacations or business travels. With summer’s higher temperatures and more time outdoors, you can become dehydrated, which sometimes leads to headaches. Drink eight 8-ounce glasses of plain, filtered water every day. This will help maintain critical moisture balance of the body and it will benefit your skin tremendously. Remember that if you drink caffeinated beverages like tea or coffee, you need to drink even more water daily. The summer’s UV light can cause brown spots, also known as photo aging, especially if you have sensitive skin. This results in coarse skin and wrinkles eventually, whether you have been sunburned or not. When sunlight comes in contact with skin damage happens with the stripping of barrier lipids, and this causes inflammation, along with the production of reactive oxygen molecules, affecting healthy cell growth, and the stimulation of enzymes that destroy collagen. Tans may be a popular summer look, but it indicates damage to your skin. Cover up, and simply wear a hat that blocks the sun, then you won’t need any chemical laden sun screen. 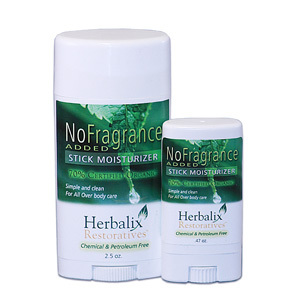 If you have sensitive skin, try the Herbalix No Added Fragrance line of skin care products. Created for those who prefer clean products with no added fragrance. Synthetic chemical and petroleum free, these products contain no parabens, phthalates, or propylene glycol, and they can be used by the entire family. Moms are always on the lookout for products to help children with dry, allergy-prone skin. In fact, did you know that when the skin that is injured, it allows germs to penetrate the top layer of skin. And kids are prone to injuries. But, a natural, organic goat’s milk soap fortified with vitamins will help strengthen the skin. Herbalix has been getting letters lately from Moms who said that dry skin was a big problem until they started searching for organic products. Thanks to Herbalix, many have started bathing their babies with the best goat’s milk soaps and then following it up by using a good organic moisturizer. In many cases babies with eczema were clear in a few days after they were bathed in triclosan-free goat’s milk soap. The product’s combination of sustainable. Its plant based botanicals cleans, moisturizes and protects skin without drying it out. A very natural soap that is very rich in nutrients, Herbalix’s goat’s milk soap is made by hand. See all the scientific benefits of the Nubian goat’s milk used in Herbalix products in this video – and meet two of the goats where the milk comes from – SugarPie and Summer! 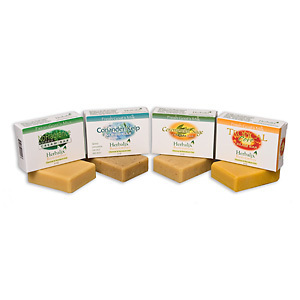 Herbalix Goat’s Milk Soaps come in a variety of wonderful scents. people dry skin have discovered that goat’s milk soap is beneficial. One of the differences between handmade goat’s milk soap and other commercial soaps is the absence of harsh chemicals. Mom’s that use Herbalix goat’s milk soap on their children have discovered that their skin is soft, supple and relieved of any rashes caused by harsh chemicals. We live in a world that has an environment filled with toxins. In order to have beautiful, flawless skin, you can start by following these ten natural skin care tips from Herbalix Restoratives which will help your skin survive in the New Year. Doctors recommend organic skin care products from Herbalix. 1) Protect your skin from the sun. Avoid being outdoors in the sun from 10 a.m. to 4 p.m. and always stay in the shade. 2) Wear protective clothing. Cover your skin with long sleeves and pants. Wear a brimmed hat, and sun glasses. Look for protective clothing that is designed to protect your skin from ultraviolet rays. 3) Disinfect and treat wounds to the skin. Even a tiny cut can become seriously infected. Wash the wound with warn soap and water, then treat with an antibiotic ointment. If the wound remains red and swollen and does not begin to heal, consult your doctor. 4) Never start to smoke cigarettes; quit if you smoke already. Smoking is bad for your lungs and heart, but it is also the cause of wrinkles. It constricts the tiny blood vessels in the outermost layers of your skin. This ultimately decreases blood flow and depletes the skin of nutrients and oxygen. Smoking also damages the elastin and collagen fibers of your skin. Squinting your eyes and pursing your lips while smoking also will increase wrinkles. 5) Conduct the proper cleansing of skin. Cleanse the face with a mild facial soap like goats milk soap from Herbalix. Make sure to cleanse the entire face, even your neck. 6) Apply moisturizers after a bath or shower. Your skin will absorb the moisturizer better when it is a bit damp and moist just after bathing. Moisturizers help keep skin supple and wrinkle-free. 7) Eat for better skin health. Make sure to get plenty of water, and eat green leafy vegetables, fruits, and fish. This diet makes for healthy glowing skin, and plenty of water will help cleanse the toxins out of your body and even your skin. 8 ) Apply facial masks regularly. Choose one that is right for our skin type from oily to dry. 10) Use organic skin care products like Herbalix Supreme Solution Intensive Body Moisturizer. Have you ever had some muscle soreness and wondered why, then the next day you realize you may have worked out too had at the gym. this phenomenon is called DOMS – delayed onset muscle soreness. It’s most frequently felt when you begin a new exercise program, change your routine or increase the intensity of your workouts. This is simply your body’s natural response to exertion. DOMS is the result of microscopic tearing of your muscle fibers. The amount of tearing depends on the length and intensity of your exercise workout, and can be from any kind of sport, activity or motion. The reality is that eccentric muscle contractions seem to cause the soreness. You get this doing motions like running downhill, lowering weights (e.g. bicep curl), or the downward motion of squats. Muscles forcefully contract while they are lengthening. while your body repairs these tears, new fibers grow and build on the existing tissues – which is what causes muscle growth. You can either wait out the pain, which may go away on its own in 3 to 7 days, or use a salve. Research has shown that a sports massage can help soreness and swelling. Massage will aid in circulation which can reduces swelling. This, along with some gentle stretching may provide temporary relief. Yoga can also reduce DOMS. Ibuprofen, or naproxen sodium also helps reduce the pain. But, one more way to ease the discomfort of delayed onset muscle soreness is the use of an aches and pain salve. Herbalix makes the best one… and this salve is applied topically by rubbing it over the area of soreness. You can apply Herbalix Aches and Pains Smart Salve multiple times to relieve your pain and discomfort. You are currently browsing the archives for the natural skin care category.